In a new TED-Ed animated lesson, Shohini Ghose takes us through Marie Skłodowska Curie’s great achievements and the impact of her revolutionary discoveries. In this TED-Ed lesson by Alex Gendler and animated by Brett Underhill, we see the two sides of Cleopatra's legacy. The animation goes over everything from her Cambridge scholarship, the sexism she faced in the scientific community, Watson and Crick, and other scientific contributions that you might not know about. The lesson by Robin Bulleri, narrated by Pen-Pen Chen, and animated by Brandon Denmake provides a brief overview of Lacks' life, the science behind the HeLa cell, and bioethics of science in this time. What do you guys think of this TED-Ed explanation? Yeah, but like, do you really exist tho? How do you know you're really you and not the figment of some evil genius demon's imagination? This TED-Ed video breaks down the often oversimplified Descartes statement "I think, therefor I am," to convince you that you do, in fact, exist. Now they just need to make a follow video about solipsism to convince me that everyone else exists too. Optical illusions: how do they work? Your brain is very smart and very efficient, but that sometimes makes it do dumb things, which is basically how optical illusions work. For a better explanation, watch this TED-Ed animation that details why and how your brain makes the assumptions that make optical illusions work. America celebrates our independence today, but there may be some things you didn't know about our Declaration of Independence—including how a group of people fighting for their freedom dealt (or didn't deal) with their own acts of oppression. And everything chilling underwater? Please. Nobody would ever call a tsunami a miracle (save for some very grateful ancient Potidaeans, and also maybe Violent J and Shaggy 2 Dope), but when you strip away all the horror and destruction, the way that these giant waves are formed is utterly fascinating. Don't be so antigenistic, viruses! Eh? Ehhhhhh? Okay, wait. 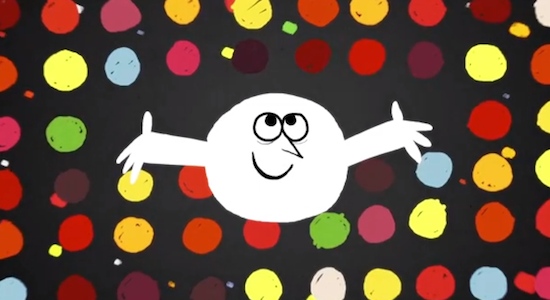 Your body doesn't fight viruses with an animation. Otherwise Osmosis Jones would be required viewing for all biology classes, and nobody wants that. But as this TED-Ed video explains using easy-to-understand visual metaphors, the way your cells create antibodies to fight off invading viruses is pretty ingenious. Your body thinks it's being attacked by some kind of purple spice-bear. When you eat spicy foods, your body reacts a whole lot like it would if you were exposed to an actual heat source. Well, that's because your brain doesn't have a whole lot to go on up in that thick skull of yours (thick for protection, that is), so it has to rely on your body for information, and your body pretty much thinks it's on fire. Your body doesn't like all this newfangled technology. Why does riding in a car or flying in a space ship fill you with the urge to vomit all over the inside of your space helmet? It turns out that scientists aren't entirely sure, but they think that your body basically rejects fast-moving modern conveniences like someone from the 1700s would, but instead of burning cars as witches, it vomits. F'ing Conlangs, how do they work? Dothraki, Na'vi, Klingon, and Elvish are all real languages. Well, they're real in a sense. They were created for the works in which they appear, but they work the way real languages do, and have even evolved past their initial creations. They're "constructed languages", or conlangs, and this TED-Ed video explains them beautifully. Everything you need to know about the golden age of arcades, from Pong to Jumpman. How well do you know your video gaming history? If you need a reminder of how far games have come since the first missile defense simulator came to a radar screen in 1948, look no further as TED-Ed turns its lens on the history of gaming, offering an animated insight on gaming from its primitive origins to the golden age of arcade cabinets. Having superpowers would probably not actually be that great. In fact, it could be exceedingly dangerous for your and your loved ones. TED-Ed has offered short, entertaining takes on a wide variety of actual science in its brief existence, and we've been consistently delighted by the program's cartoon explanations of everything from the Big Bang to dinosaur feathers. Over the weekend, though, TED-Ed expanded its purview and blew our minds with seven great videos exploring how common comic book superpowers -- real classics like flight, super speed, and super strength -- would operate in the real world. The disappointing answer? Not very well, as the offering on super strength demonstrates here. Because there's never a bad time to update your zombie survival plan. You do have a zombie survival plan, don't you? Pop quiz, hotshot: If tomorrow found the streets of your town crawling with human corpses shambling around in a horrible mockery of life, what would you do? If you don't have a hideout planned to answer that question, your priorities are just way out of line. Luckily, TED-ED scholar and geography wonk David Hunter has some handy tips on using geographic concepts -- like movement of people or resources and identifying push and pull factors that could make a location more or less desirable -- to plan your getaway. Until today, we didn't know that gyotaku was a thing. After this short cartoon, we already feel like experts on the subject. Today in "Things I Didn't Know" news: The latest cartoon from TED-Ed traces the origins and evolution of one of the strangest art forms I've ever heard of -- gyotaku, the art of making ink prints on rice paper using fish. Initially conceived as a way for Japanese fishermen to brag on the size of a catch while still throwing the fish back, gyotaku became popular in the courts of the Edo period, though its fortunes have since waned, presumably because there is only so much one can do with with a fish, artistically speaking. Folks, can we talk about these TED-Ed videos? Because they are becoming some of my favorite things. In this magnificently animated piece, science writer Carl Zimmer waxes poetic on the aesthetic and engineering feats that make feathers so incredible before delivering a point by point walkthrough of what we know about how feathers evolved -- and what we don't. This lesson in how modern birds developed from ancient dinosaurs more or less the perfect thing to distract you from work today, and come on -- it's not like you're here because you desperately want to get things done. The Big Bang is pretty complicated stuff, especially if you're trying to explain it in less than four minutes. It happened billions of years ago, so there's no direct record of it. It created everything as far as we know, so we don't have any frame of reference for what came before it. And it rewrote the laws of physics as it happened, so even our best understanding of the phenomenon is necessarily inadequate. It's pretty daunting stuff, all things considered. That's why we're so glad that CERN physicist Tom Whyntie is on hand to offer the following excellent explanation of what we know and how we know it in the latest video offering from TED's education arm, TED-Ed.